Three Republicans filed today for the Iosco vacancy in the far northwest suburban 13th Subcircuit. FWIW readers already knew that John Curry was going to file for this vacancy. Richard George Karwaczka and Gary W. Seyring also filed first thing this morning and will be in the lottery with Curry for the top ballot position. Karwaczka practices with the Rosemont firm of Serio & Karwaczka, LLP. Licensed as an attorney in Illinois since 2001, Karwaczka ran for judge in the 15th Subcircuit in 2010. Seyring maintains a law office in Schaumburg. He has been licensed as an attorney in Illinois since 1978. Incidentally, with one exception, these were the only three persons to file as Republicans for any judicial vacancy in Cook County today. The exception is James Paul Pieczonka, who filed as a Republican for the Jordan vacancy in the 12th Subcircuit. Pieczonka also ran for a 12th Subcircuit seat as a Republican in 2012, losing to Judge Andrea Schleifer. Judge Michael Francis Otto, candidate for the Preston vacancy in the 9th Judicial Subcircuit, was a guest at a recent taping of Avy Meyers' North Town News Magazine and his interview has now been posted online. Maritza Martinez has no challengers so far in her bid for the countywide Burke vacancy. Also unopposed, at this point, are Patricia O'Brien Sheahan (Felton vacancy), Judge Caroline Kate Moreland (Howse vacancy), and Judge Cynthia Y. Cobbs (McDonald vacancy). Six of the countywide candidates slated by the Democratic Party did draw one or more challengers on the first day of filing. Bridget Anne Mitchell has filed to oppose slated Judge Alfred M. Swanson, Jr. for the Arnold vacancy. The other one-on-one match-up so far pits slated candidate Diana Rosario against Stephen J. Feldman. A criminal defense attorney with an office in the River North neighborhood, Feldman does not yet have a campaign website but he does have a campaign Facebook page. Feldman has been licensed as an attorney in Illinois since 2001. Kristal Rivers was slated by the Democrats for the Connors vacancy, but Judge Peter J. Vilkelis and Brendan O'Brien have both filed for this vacancy as well. Sarah W. Cunningham and Joanne Rosado have filed to run against Judge Daniel J. Kubasiak in the race for the Egan vacancy. Cunningham's candidacy was announced on FWIW last month. Slated candidate William B. Raines has drawn challenges from both Carolyn Joan Gallagher and Patricia S. Spratt in the race for the Neville vacancy. Spratt is a shareholder in the firm of Shefsky & Froelich (the firm that just announced a merger with Taft, Stettinius & Hollister). She has been licensed as an attorney in Illinois since 1991. Slated Judge Andrea Michele Buford faces challenges from James Patrick Crawley and Kelly Maloney Kachmarik in the race for the Veal vacancy. Remember, however, that candidates have until December 2 to file. It is likely that there will be additional candidates in many, if not most, of these races. 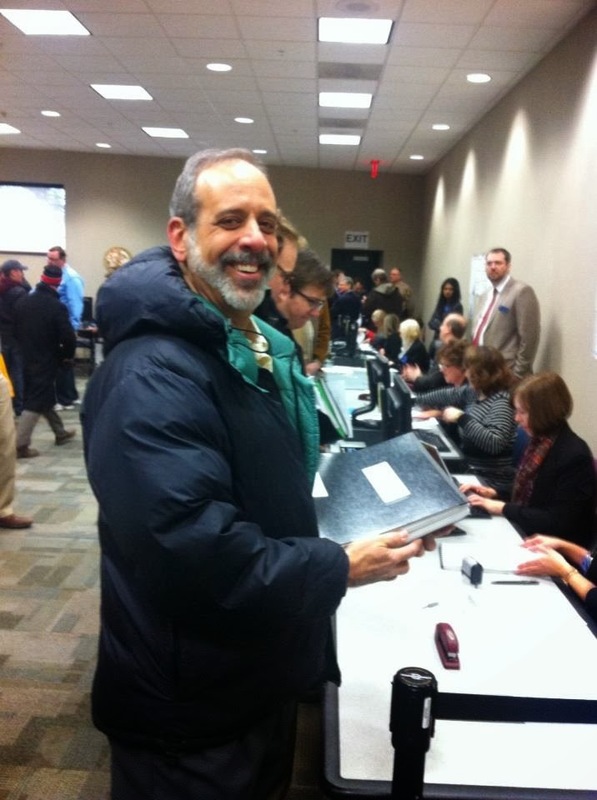 I took the liberty of grabbing this Facebook photo of 9th Subcircuit candidate Michael A. Strom filing his nominating petitions this morning in Springfield. Judge Michael Francis Otto also filed for this vacancy this morning, as did Abbey Fishman Romanek. Newly appointed Judge Jerry A. Esrig is the only candidate so far posted by the ISBE for the 9th Subcircuit Goldberg vacancy; Anjana Hansen is the only candidate so far posted for the 9th Subcircuit Meyer vacancy. Keep in mind, however, that the Illinois State Board of Elections is confronted this morning with an avalanche of paper; the ISBE website is being regularly updated, but it takes time to process the papers of all of those who were outside in the cold waiting this morning for the doors to open. Also, keep in mind that today is only the first day of filing. Someone who is not yet ready to file, or who wants to be the last name on the list (rather than risk winding up in the middle of the pack after a crowded first line ballot drawing) may yet turn up in any race. You can bet heavily on there being more than five candidates filing for judge in the 9th Subcircuit. FWIW readers already know that Justice Shelly A. Harris would be filing to keep his seat on the Appellate Court and that the Cook County Democratic Party had bypassed him in favor of Judge (and former 6th Ward Alderman) Freddrenna M. Lyle. But two additional candidates filed for this vacancy when the doors opened this morning at the ISBE, Judge Susan Kennedy Sullivan (elected to the Circuit Court in 2010) and Assistant State's Attorney Nichole C. Patton. Patton ran for the Circuit Court countywide in 2012 and from the 15th Subcircuit in 2010. As of this morning, her campaign website indicated an apparent intent to try again for the Circuit Court, and that was how I reported Patton's probable candidacy in August. At this point, it appears there may have been a change in plans. The Supreme Court only recently appointed Judge Pamela McLean Myerson to the "A" vacancy in the 11th Subcircuit. Judge Meyerson filed this morning to keep her seat and, so far, three challengers have emerged. Assistant States Attorney Gina Crumble contemplated an 11th Subcircuit race in the 2010 primary, but ultimately chose not to file. Today, she filed. Assistant Public Defender Scott Michael Kozicki also filed for the 11th Subcircuit vacancy this morning. FWIW readers already knew that Joanne Rosado was thinking about filing in the 11th Subcircuit. Rosado filed in the 11th this morning. She also filed for the countywide Egan vacancy. She will have to withdraw from one of these races. Judge Daniel Lawrence Peters holds the Billik vacancy in the 4th Subcircuit pursuant to Supreme Court appointment. He filed nominating papers this morning in an effort to keep his seat. Four challengers to Judge Peters have so far emerged. Maureen Masterson Pulia filed for the Billik vacancy as a Democrat this morning. She previously ran countywide as a Republican (in 2010) and in the 4th Subcircuit (in 2008). James J. Ryan is making a second bid for judicial office. He filed for a 4th Subcircuit vacancy for the 2012 vacancy, but withdrew before the primary. Brian Joseph Stephenson, who made a bid for the countywide Ward vacancy in 2012, has also filed this morning in this race. FWIW readers already knew that John J. Mahoney was planning to file for this vacancy. No one has yet filed as a Republican for this vacancy. The doors are open at the Illinois State Board of Elections in Springfield and the candidates (or their surrogates, if the candidates are lucky enough to have them) are starting to come in from the cold and file their carefully collected nomination petitions. The mere filing of petitions does not guarantee a candidate a spot on the March 18, 2014 primary ballot. Some of the candidates in line this morning will be knocked off the ballot because of successful challenges to their papers. Nor is getting to the counter first a guarantee of getting the coveted top line on the primary ballot in any given race. It has been proved that being first on a list of candidates provides some statistical 'bump' for that candidate -- not always enough to overcome other factors, mind you, but candidates understandably jostle for every possible advantage. And, with respect to the top position on the ballot, therein lies the problem: Everyone who was in line when the doors opened this morning is eligible to be on the top line in their particular race; a lottery will have to be held to determine the exact ballot order. Thus, today, I can't tell you who will be first on the ballot in any given race -- but, during the course of the day, I will try and update you on candidates who have filed, with a particular emphasis on those who haven't been mentioned here previously. We'll start, then, with Assistant State's Attorney Nyshana K. Sumner, who has filed this morning as a candidate in the 2nd Judicial Subcircuit. Sumner has been licensed as an attorney in Illinois since 2004. I can't find a campaign website for her yet, but, if the name sounds familiar, you may have seen her mentioned in the Chicago Daily Law Bulletin recently, in the "Spotlight" column, talking about her volunteering for this year's CBA Christmas Spirits Show, "The Merry Old Land of Lawz." Judge Peter Vilkelis was a guest at a recent taping of Avy Meyers' North Town News Magazine and his interview has now been posted online. In separate orders entered yesterday, the Illinois Supreme Court extended the recall appointment of Judge Sidney A. Jones III and recalled former Associate Judge Joan M. Kubalanza to judicial service. Judge Jones was serving pursuant to a 2010 recall order that was set to expire on November 30. His new recall appointment runs from December 1, 2013 to December 1, 2016. Judge Kubalanza became an Associate Judge in 1998 but left the bench in 1999. She was previously recalled to judicial service in 2008 and again from December 1, 2009 through November 30, 2012. After leaving the bench last year, Judge Kubalanza worked as a partner in the Chicago office of Lewis Brisbois Bisgaard & Smith LLP. Judge Kubalanza previously ran for full Circuit Judge in the 15th Subcircuit (in 2010) and countywide (in 2012). Her new appointment runs from December 1, 2013 through December 4, 2016. In case the Tribune is worried about it (see, for example, this post), even though Judge Kubalanza twice ran unsuccessfully for the Circuit Court, her recall at this time does not violate the Supreme Court's promise not to recall appointed judges defeated in primary elections. She has been recalled as an Associate Judge. Article VI, Section 15 of the 1970 Illinois Constitution expressly provides, in pertinent part, "Any retired Judge or Associate Judge, with his or her consent, may be assigned by the Supreme Court to judicial service for which he or she shall receive the applicable compensation in lieu of retirement benefits. A retired Associate Judge may be assigned only as an Associate Judge." For a small fee, Victory Research will file your judicial petitions in Springfield (on the first day or last day or any day you specify). And, once filing begins, we'll do the legwork and research for your election lawyer on your opponents' petitions. If you think your opponents' petitions are deficient, call Victory Research at 312-504-3782 and ask for Robert Murphy. We'll do the rest. Despite the concerted efforts of our friends in retailing to distract us, the holiday season still begins with Thanksgiving, an all-too-rare moment these days to pause and reflect on the things for which we are most grateful. CAN-TV producer Tony Joyce (he wears other hats, but this is how I know him) told me last week how grateful he is for Misericordia and for the comfortable, pleasant environment it provides for his sister, a long-time resident. Misericordia is home to an increasing number of aging adult residents like Tony's sister -- and, like all aging people, their needs will change as the years pass. To respond to the evolving needs of the increasing number of these older adult residents, Tony told me, Misericordia has begun construction on the Quinlan Terrace Project, a group of four homes that will ultimately house 60 senior residents. Tony Joyce is trying to help Misericordia continue to help his sister by helping Misericordia, which is now trying to raise $30 million to build the Quinlan Terrace homes and endow the services that its elderly residents will need. Tony asked me to help him get the word out. If you'd like to help Tony and his sister and the good people of Misericordia, you can email Tony at tonyjoyce@mail.com (and, of course, you can always donate directly to Misericordia). Martiza Martinez was a guest at a recent taping of Avy Meyers' North Town News Magazine and her interview has now been posted online. Supporters of Judge Diana Embil, candidate for the Doody vacancy in the 15th Subcircuit, are planning a November 21 fundraiser for their candidate at a private residence in Chicago. Because the fundraiser will be at a private residence, FWIW will not supply the address here. However, tickets for the fundraiser, which runs from 5:30 to 7:30 p.m., are $25 each. Sponsorships are available (Bronze - $50, Silver - $100, Gold - $500, Platinum - $1,000). For more information about the event, or to reserve tickets, please email Aaron Sofian at aysofian@gmail.com. Licensed in Illinois since 1987, LaPapa maintains a law office in the Beverly neighborhood, at 109th and Western. His campaign announcement notes he has served as a precinct captain in the 23rd Ward since 1982. LaPapa says the support he expects from the 23rd Ward Organization will be an essential component in his formula for victory. Appellate Court Justice Shelly A. Harris was a guest at the most recent taping of Avy Meyers' North Town News Magazine show and his interview has now been posted online. Everyone knows in advance that every seat in the Illinois House will come up for election every two years. But judicial vacancies aren't as predictable. Judicial vacancies might come open if a judge were removed in a retention election; the whole world would be on notice that this vacancy would be filled in two years at the next general election. But no judge has been removed in a retention election for years. Thus, the typical way that a vacancy comes up for election is when a judge dies or retires. Just like everyone else in the world, judges retire for all sorts of reasons: Judge David Sterba, who was serving on the Appellate Court at the time of his resignation, decided he wanted to get back into trial practice. Judge Sterba was elected from the 15th Subcircuit and his vacancy is posted in the 15th Subcircuit. Judge Allen Goldberg, who has coordinated CLE programs for attorneys on mediation topics (and, I found out yesterday, continues to do so in retirement), left the bench to work as a mediator. Judge Goldberg was elected from the 9th Subcircuit and his vacancy is posted in the 9th Subcircuit. Other judges may resign because of failing health, or because of the health challenges faced by a spouse. Some want to travel, some want to spend time with their grandchildren. But a judicial vacancy is not announced when a judge announces plans to retire; the vacancy does not exist until the judge actually hangs up the robe. Thus, although you probably know that Law Division Presiding Judge William Maddux has announced his retirement, because Judge Maddux will not leave office until January, his vacancy will not be filled (except, perhaps, by appointment) until 2016. 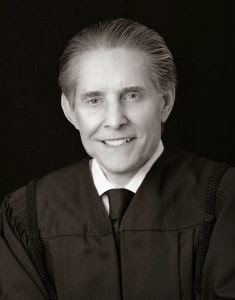 Judge Maddux was elected to the bench in 1992, in the last group of candidates elected from "Chicago only" (1992 was also the first year for subcircuit elections). As vacancies in these Chicago only (and Suburban only) occur, new subcircuit vacancies are created in their place. Multiple sources have confirmed to FWIW that Judge Maddux's vacancy will be assigned to a subcircuit pursuant to a September 27, 1991 Supreme Court Order (M.R. 7848) (in which the order for filling subcircuit vacancies as they are created was determined by lot). Since the last such vacancy was assigned, pursuant to the 1991 order, to the 11th Subcircuit, the next such vacancy will be assigned to the 6th. Since another sitting Chicago only or Suburban only judge could (at least theoretically) retire before the effective date of Judge Maddux's planned January retirement, it is not certain that his vacancy will become an "A" vacancy in Subcircuit 6. But the next Chicago only or Suburban only vacancy will be assigned to the 6th, the next one after that to the 12th Subcircuit, and the one after that to the 2nd Subcircuit, and so on, as the 1991 order provides. In any event, the exact number of vacancies on the March 2014 primary ballot will not be known until the expiration of certain statutorily-set deadlines. There are two deadlines relevant to our consideration and the first of these was this past Sunday. In the latest, and last group of judicial vacancies posted by the Illinois State Board of Elections for the filing period beginning November 25, there are two new subcircuit vacancies, in the 7th Subcircuit (the vacancy of Judge LaQuietta J. Hardy-Campbell) and in the 4th Subcircuit (the vacancy of Judge Mary A. Mulhern). 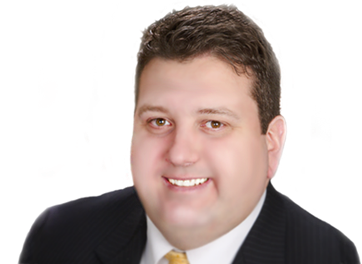 Berwyn attorney Martin Reggi has already announced for the Mulhern vacancy, according to an email received by FWIW from the candidate's son. 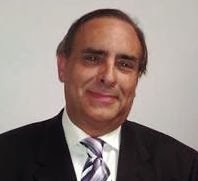 Licensed as an attorney in Illinois since 1980, Reggi filed for the "A" vacancy in the 4th Subcircuit in 2012, although he ultimately withdrew from that race. Reggi does not have an updated campaign website yet; however, when it is updated I will add it to the blog sidebar. But this list is still subject to change. Any vacancies posted between now and December 2 (which just happens to be the last day of the regular filing period) will appear on the March 2014 primary ballot. There will be a special filing period for any of these late-breaking openings, from December 16 to 23. A campaign website has been established for Judge James L. Kaplan, candidate for the 12th Subcircuit vacancy to which he was appointed by the Illinois Supreme Court. That's a link to the campaign website in the preceding sentence; a link has also been added to the blog Sidebar. 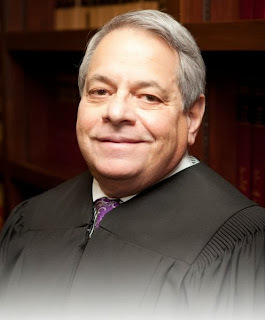 Judge Kaplan was appointed to the 12th Subcircuit vacancy in August 2012. At the time of that 2012 appointment, Judge Kaplan was serving pursuant to an appointment to an 8th Subcircuit vacancy. 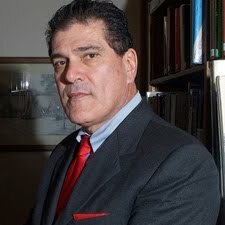 At the time of his initial appointment to the bench, in 2010, Kaplan was of counsel to the Law Offices of Sheldon Sorosky, Ltd. (f/k/a Kaplan & Sorosky, Ltd.). Kaplan served a member of the Illinois Board of Higher Education from 1999 until early 2007. He was IBHE Chairman from 2003-2007. Kaplan also served as a Judge of the Illinois Court of Claims before being appointed to the Circuit Court. A 1971 graduate of the Chicago-Kent College of Law, Kaplan served on the school's Board of Overseers from 2004-12. He is currently a member of the Board of Trustees of St. Patrick's High School in Chicago. Tenth Subcircuit candidate Katherine O'Dell was recently interviewed by Avy Meyers for an upcoming episode of North Town News Magazine. This interview will air, I believe, next week, but with Mr. Meyers' permission, you can watch the interview here and now. Attention first-time Cook County judicial candidates! I know you're busy right now assembling your petitions, calling the six people who still owe you sheets, trying to set up a time to meet with your election lawyer to make sure that everything you need to file is properly in order -- but there is still one thing more you need to do ASAP. If you've not run for judge before, then you haven't been screened yet by any of the member bar associations of the Alliance of Bar Associations for Judicial Screening. If you're serious about running for judge, you probably expect to receive favorable ratings from the various bar associations. But you may not know how to initiate the process. Here's how: Contact Joyce Williams at jwilliams@isba.org. Filling in the evaluation forms will take some time; you should want as much as you can get. It is to your distinct advantage, therefore, to be proactive and reach out to the Alliance first. Don't wait until the Alliance has time to sift through all the filings and realize that it doesn't yet have ratings on you. Send the email now; then go back to your petitions. Thank me later. Oh, there's one more thing: You'll notice that the Chicago Bar Association (CBA) isn't on that list of Alliance members. The CBA evaluates candidates separately. You'll want to reach out to the CBA as well. Start on this page of the CBA website. A campaign website has been set up for Judge Freddrenna M. Lyle, candidate for the Gordon vacancy on the Appellate Court. That's a link to the site in the preceding sentence; a link has been added to the list of Appellate Court candidates in the blog Sidebar. A former 6th Ward Alderman, Judge Lyle was first appointed to the bench by the Illinois Supreme Court in late 2011. The Illinois Supreme Court appointed Judge Lyle to a 7th Subcircuit vacancy last November, as the original appointment was set to expire. According to the Circuit Court of Cook County website, Judge Lyle is assigned to the Traffic Section of the First Municipal; her campaign website notes that Judge Lyle is "[j]ointly assigned to the Traffic Section of the First Municipal District and the newly created Elder Law Division. Currently hearing traffic matters ranging from stop sign violations to misdemeanor traffic violations." 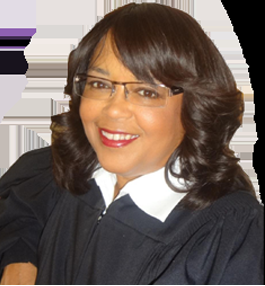 Judge Lyle was awarded a bachelor's degree from the University of Illinois at Chicago in 1973; her law degree was received from John Marshall in 1980. Supporters of 10th Subcircuit candidate Linda J. Pauel are planning a fundraiser for their candidate on Wednesday, November 13, from 5:30 to 7:30 p.m., at the Blackfinn Ameripub, 65 W. Kinzie Street in River North. Tickets for the event are priced at $100 each but sponsorships are available ($250 - Sponsor, $500 - Host, $1,000 - Co-Chair). The honorary chair for this event is Cong. Jan Schakowsky. For more information about the fundraiser, or to order tickets, see this page of the candidate's campaign website or email Mia Phifer at mia@miaphifer.com. Gov. Patrick Quinn will be the keynote speaker at tomorrow night's Annual Joint Dinner Meeting of the Cook County Bar Association, the Illinois Judicial Council, and the Black Women Lawyers' Association of Greater Chicago. The dinner, which begins at 6:00 p.m., will be held at Room 43, 1043 W. 43rd Street in Chicago. Tickets for the event are $35 each and are available through the Cook County Bar Association. Seating is limited. To reserve tickets, contact CCBA Executive Director Cordelia Brown at cbrown@cookcountybar.org or call (312) 630-1157, Ext. 22. A campaign website has been established for Appellate Court Justice John B. Simon. That's a link to the campaign website in the preceding sentence; a link has also been added to the blog Sidebar. The Illinois Supreme Court appointed Simon, a longtime partner at Chicago's Jenner & Block, to the Appellate Court late last year. Although appointed to the Murphy vacancy, the Cook County Democratic Party slated Justice Simon for the Steele vacancy this past August. Licensed as an attorney in Illinois since 1967, Simon began his legal career as an Assistant U.S. Attorney, rising to Chief of the Civil Division of that office in the early 1970s. After leaving the U.S. Attorney's office, Simon joined Friedman & Koven as a partner before moving to Jenner in the mid-1980s. He is a former President of the Chicago Bar Association and, later, of the Lawyer's Trust Fund of Illinois. Among Justice Simon's many other contributions to the bench and bar is his long service as a member of the Supreme Court's Rules Committee (2004-2012, serving as Chair from 2010-2012). A campaign website has been established for Judge Diana Embil, candidate for the Doody vacancy in the south suburban 15th Judicial Subcircuit. That's a link to Judge Embil's campaign website in the preceding sentence; a link has also been added to the blog Sidebar. The Illinois Supreme Court appointed Judge Embil to the Doody vacancy earlier this year; she was subsequently slated for that vacancy by the Democratic Party. Embil's campaign website notes that Judge Embil was a teacher and worked for insurance companies before deciding to attend law school. Licensed as an attorney in Illinois since 1988, Judge Embil's campaign website stresses the variety of the her work experience, including "work for liability and property insurance companies, the Illinois Appellate and Supreme Courts, and the U.S. Environmental Protection Agency." She is also the Secretary of the Illinois Minimum Continuing Legal Education Board. 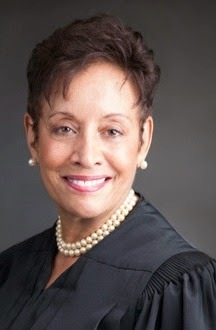 According to her campaign site, Judge Embil "volunteered with and supported the Girl Scouts; served as a Jail Project volunteer with the Chicago Legal Advocacy for Incarcerated Mothers; served as a board member or volunteer for various community organizations; and currently serves on the Board of Saltpond Redevelopment Institute, an organization committed to community development in West Africa. She is a former member of AFGE 704 (AFL-CIO)." Supporters of 9th Subcircuit candidate Michael A. Strom (Preston vacancy) are planning a holiday party for their candidate on December 9 at the Chicago offices of Miller Canfield, 225 W. Washington St.
Tickets for the event are $100 apiece but sponsorships are available (Friend - $250.00, Supporter - $500.00, Enthusiast - $1,000.00, and the "I Like Mike To The Max!!!" level - $5,300.00). For more information about the event, or to make reservations, consult this page on the candidate's website. Assistant State's Attorney Caroline Kennedy-Elkins has announced plans to seek the Democratic nomination for judge in the northwest suburban 13th Judicial Subcircuit. That's a link to Kennedy-Elkins' campaign website in the preceding sentence; a link has been added to the blog Sidebar. 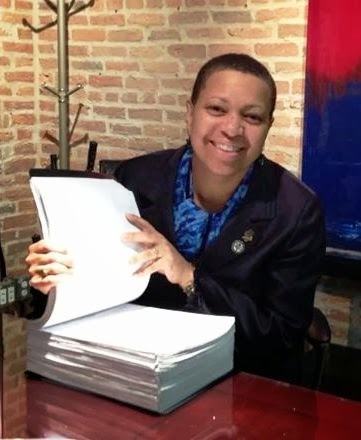 Licensed as an Illinois attorney since 1992, Kennedy-Elkins currenty prosecutes domestic violence offenses at the Rolling Meadows courthouse, according to her campaign website, working victims of domestic violence and their families, as well as with social workers, domestic violence advocates and police. Her website notes that Kennedy-Elkins successfully prosecuted the first felony "dead-beat dad" case in Illinois. She was responsible, too, according to her campaign website "for the collection of the single largest child support payment in the history of" the Child Support Enforcement Division. Kennedy-Elkins' campaign website notes that the candidate has conducted training for the Illinois Family Support Enforcement Agency, and has served as a member of the Court Committee for the Family Violence Coordinating Council. In addition, She Kennedy-Elkins has served as Chair of the Social Action Committee at Beth Tikvah Congregation in Hoffman Estates, and is presently on the Board of the Beth Tikvah Congregation Sisterhood. Supporters of 4th Subcircuit judicial candidate John Michael Allegretti are planning a fundraiser for their candidate on Thursday, November 21, from 5:30 to 8:30 p.m. at the Parthenon Restaurant, 314 S. Halsted St. in Chicago's Greektown. Tickets for the event are $100 apiece but sponsorships are available ($250 - Silver, $500 - Gold, $1,000 - Platinum). Reservations are requested by November 15. For more information about the event or to make reservations, email allegrettiforjudge@gmail.com. A campaign website has been established for countywide judicial candidate Diana Rosario (Reyes vacancy). That's a link to the site in the preceding sentence; a link has also been added to the blog Sidebar. Rosario has been licensed as an Illinois attorney since 1989. According to her campaign website, Rosario currently works as in-house Counsel for the City of Chicago Department of Family and Support Services, advising "the department on legal issues pertaining to departmental operations as they are affected by local, state, federal laws and statutes, or contracts." Before going to work for the City, Rosario was an Assistant State's Attorney. Rosario's campaign website notes that she has worked for the Legal Assistance Foundation, assisting clients with immigration matters. As a volunteer for After School Matters, the website notes, Rosario "assisted in conducting research on intellectual property matters, and reviewed and drafted contracts for special programs." She has also volunteered for the Edgewater Historical Society and the Spanish Coalition for Jobs. Rosario's supporters are planning a fundraiser for their candidate on Wednesday, December 4, at 115 Bourbon Street, 3359 W. 115th Street, in Merrionette Park. Tickets for the event are $60 apiece, but sponsorships are available (Friend - $150, Supporter - $250, Host - $500, and Patron $1,000). To reserve tickets, or for more information, see the events page of the candidate's website or email DianaRosarioforJudge@gmail.com. 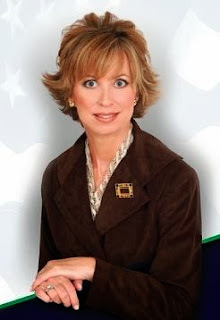 Found on the Internet: The campagin website of judicial candidate Carolyn J. Gallagher. According to ARDC, Gallagher has been licensed as an attorney in Illinois since 1982 and maintains a law office in Northbrook. Her campaign website says that she has taught legal research and writing at DePaul University Law School and has served as a volunteer for the Chicago Legal Clinic. In her practice, according to her campaign website, Gallahger has had experience in "state and federal trial, appellate and bankruptcy courts, mediations, and arbitrations."